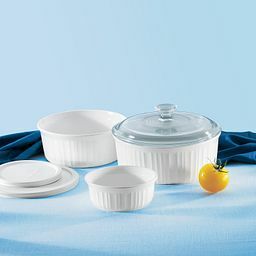 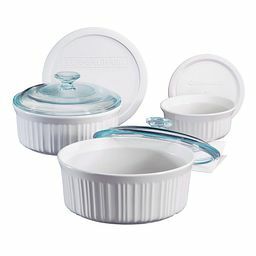 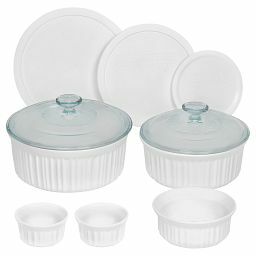 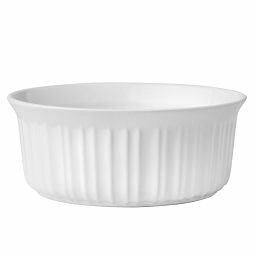 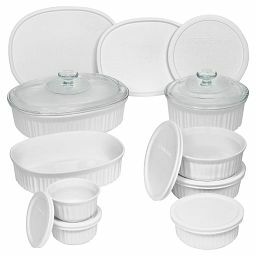 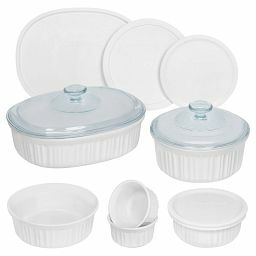 This classic choice holds smaller, 4-oz servings for meals, snacks or special desserts, and goes oven to table with ease. 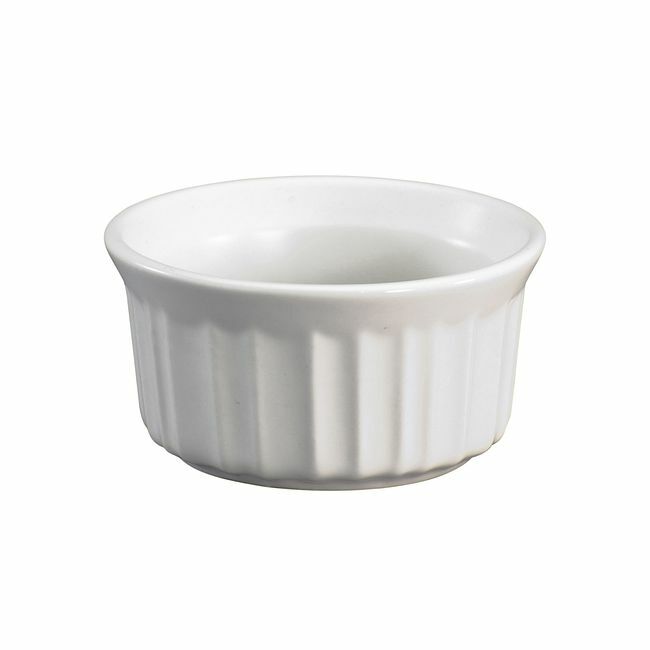 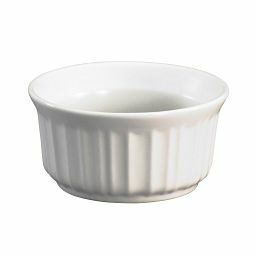 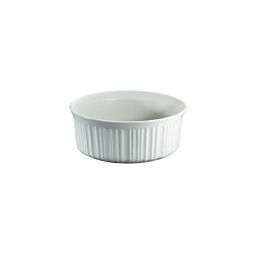 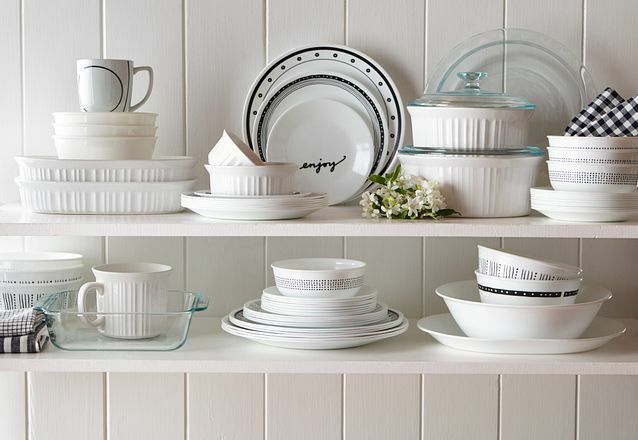 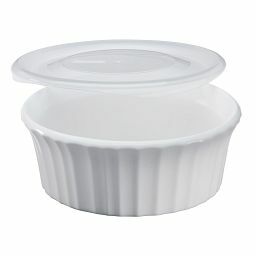 Individual desserts or special snacks look perfectly put-together with our 4-oz round stoneware ramekin—the classic, oven-to-table solution for smaller servings. 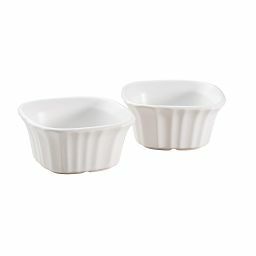 Made fluted at the sides and slightly flared at the top, so you can stack a set.